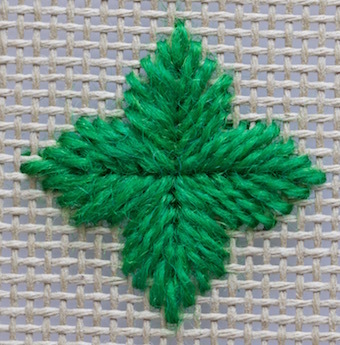 The Leaf Stitch is a fancy needlepoint stitch that is easy to learn, although it does require careful counting until you get the hang of it. 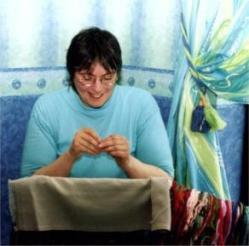 It is really a combination of a number of straight stitches worked in the form of a motif that resembles a leaf shape. These leaves can be fitted together to create an overall background pattern with an attractive texture. Each motif will cover nine icanvas intersections in height and six in width. You can use compensating stitches to fill in around the edge of the area if necessary. 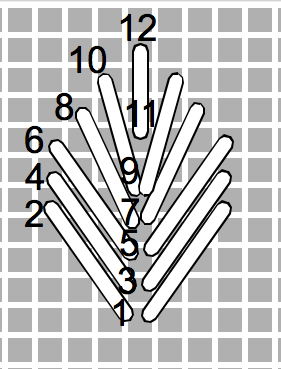 The diagram shows how the basic stitch is worked. The first stitch starts in the center and goes horizontally over 3 intersections of the canvas and up 4. The next two stitches lay at the same angle. 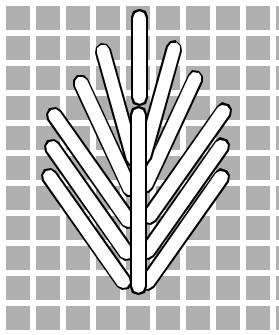 Stitch 7-8 changes direction slightly, going down in the hole diagonally to the right of point 6. Sitch 9-10 is worked in the same way. 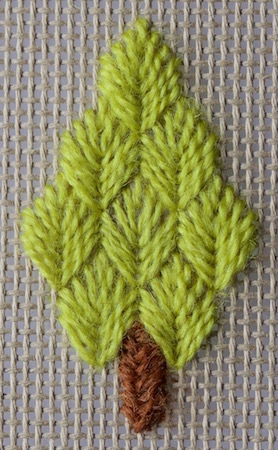 The top stitch of the leaf is worked vertically over 3 canvas threads. Once you reach point 12, work in the same manner down the other side of the leaf. In the photograph I worked the stitches in the shape of a small tree. I used Fern Stitch for the trunk. I used one strand of light green Persian wool for the leaves and 2 strands of brown crewel wool for the trunk. Worked in a bluish-green, with two extra leaves on either side of the bottom row, this would make a sweet little Christmas fir tree. Stitched on 18 count canvas it would be the ideal size for a greetings card. You could even stitch a little star at the top in metallic thread. All your motifs can be worked in the same color yarn, or you can vary them, either randomly or in a organized arrangement. Worked in an overdyed yarn they can resembe a realistic "hedgerow" in a landscape design. But remember leaves do not always have to be green. Fiery autumnal shades can add a splash of color to your work! 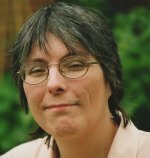 The addition of an optional straight stitch down the center, in either the same or a contrasting color, gives the impression of a stem. 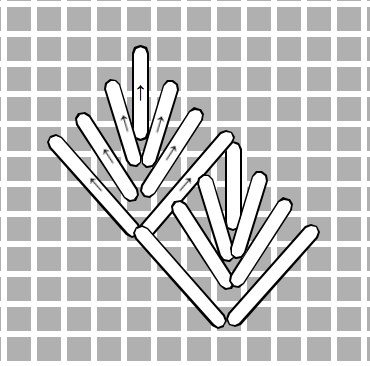 You can also arrange four leaves so that their centers meet, to form a star, cross or flower shape, as shown in the photograph. These could be stitched side by side with the squares between them filled with tent stitch. Another variation of this needlepoint stitch can be worked over a smaller area, using just four stitches on each side. 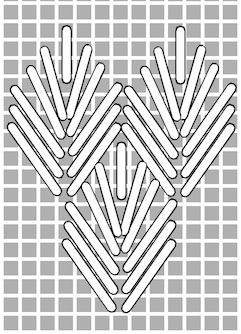 This is sometimes known as Diamond Leaf Stitch. This is certainly one of those needlepoint stitches that can be utilized in many ways to add interest to a design. I do hope you will give it a try.